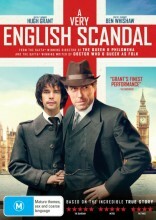 A Very English Scandal DVD is the first complete season of this great Hugh Grant show. 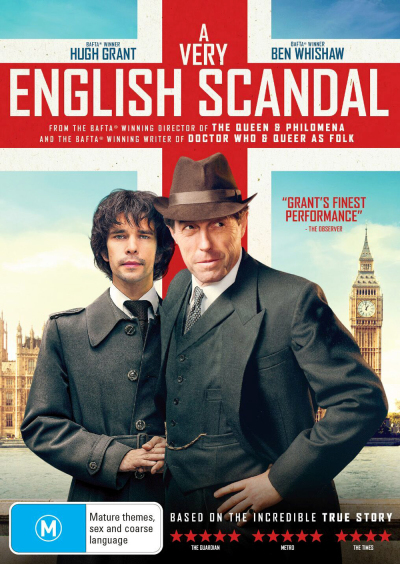 A Very English Scandal season 1 DVD sees British Liberal Party leader Jeremy Thorpe being accused of conspiracy to murder his gay ex-lover and forced to stand trial in 1979. The shocking true story of the first British politician to stand trial for conspiracy to murder. It's the late 1960's, homosexuality has only just been decimalised and Jeremy Thorpe, the leader of the Liberal party and the youngest leader of any British political party in a hundred years, has a secret he's desperate to hide. As long as Norman Scott, his vociferous ex-lover is around, Thorpe's brilliant career is at risk and eventually Thorpe can see only one way to silence Scott for good. The trial of Jeremy Thorpe changed politics forever as the British public discovered the darkest secrets of the Establishment and the lengths they'd go to conceal them. Click the button below to add the A Very English Scandal - Complete Season 1 to your wish list.